Net for 6ft. Hip 180 children's trampoline. This spare part will allow you to replace your damaged textile net. 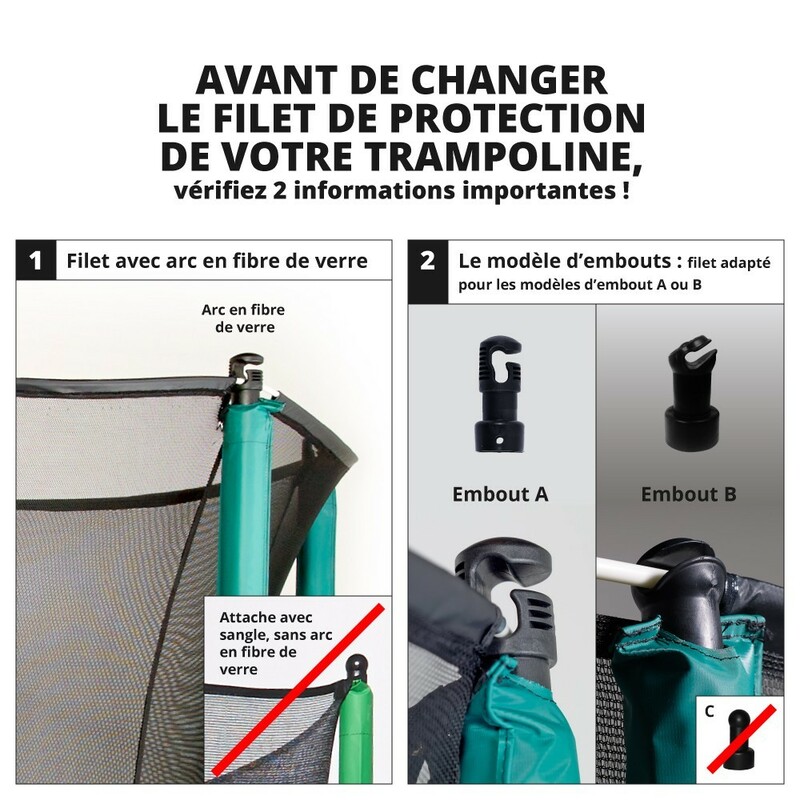 The users' safety is dependent on the condition of the elements of your trampoline. If your posts are still intact, we offer just the net of the safety enclosure. 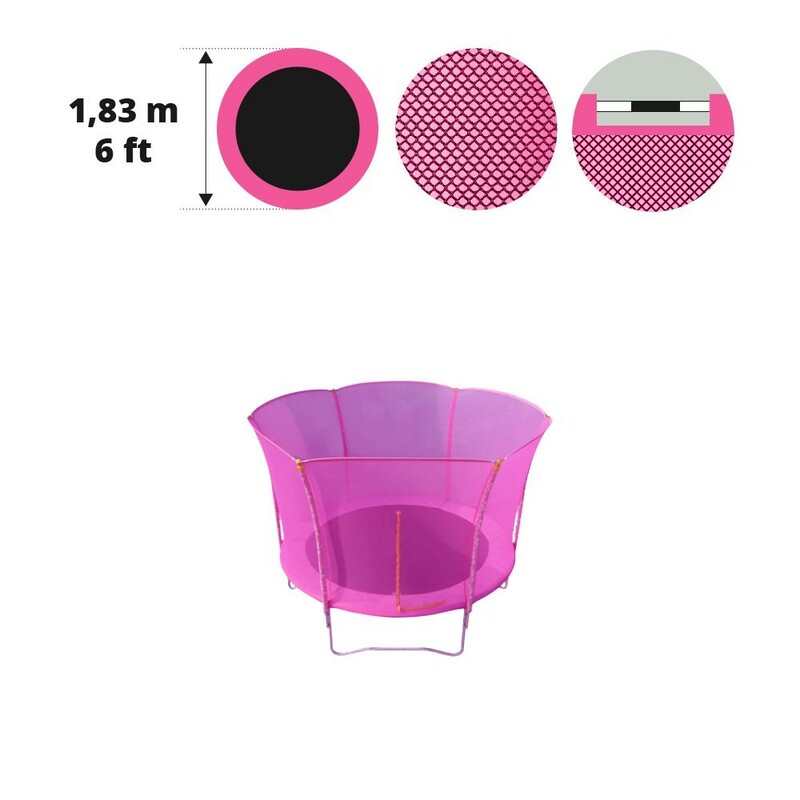 - This net is pink and is suitable for round trampolines with a 1.83cm exterior diameter, and 6 posts with a fiberglass rod system. It is compatible with our 6ft. Hip 180 model. 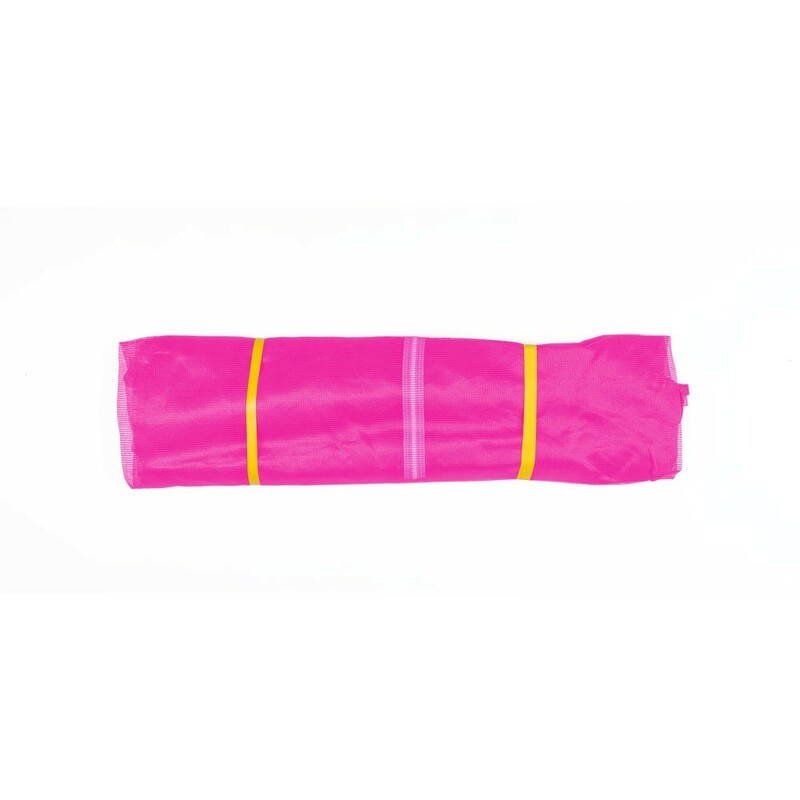 - The net is made from an anti-UV treated polyethylene material. Its 130g/m² is resistant and will allow an important longevity to your safety enclosure. This net has a zip-opening, that can be opened on the outside and from the inside. - The 6ft. Hip 180 net is fixed onto 31mm caps found at the top of the net posts by fiberglass rods. The bottom of the net is attached outside of the trampoline frame hooking onto the springs. - Warning: If you are not buying this net for a Hip 180, before confirming your purchase make sure your round trampoline has a 1.83 diameter and 6 posts using a fiberglass rod system. If you have a query feel free to contact us. - This replacement net is sold separately. If ever you also need posts, or another trampoline component you can find our products in 'Spare Parts'.